California is home to more than 30 major military installations, by far the most of any U.S. state. These installations are supported by a robust aerospace and technology sector, preeminent universities and national laboratories, and Homeland Security operations. The Department of Defense employs 360,000 Californians and provides tens of billions of dollars in defense contracts in our state. Communities as large as San Diego and Los Angeles and as small as Ridgecrest and Bridgeport depend on military installations and their activities economically. The U.S. military is undergoing a major transition at the conclusion of the wars in Iraq and Afghanistan; it is reducing troop numbers across the military services. New security priorities are emerging, such as the shift in strength to the Pacific region and global cybersecurity, which guide new defense investments. A focus on conventional military strength has broadened to protecting national security amidst new, rapidly emerging threats. At the same time, federal budget pressures demand reduced defense spending and have generated proposed cuts to military missions, as well as call for a new round of Base Realignment and Closure (BRAC). 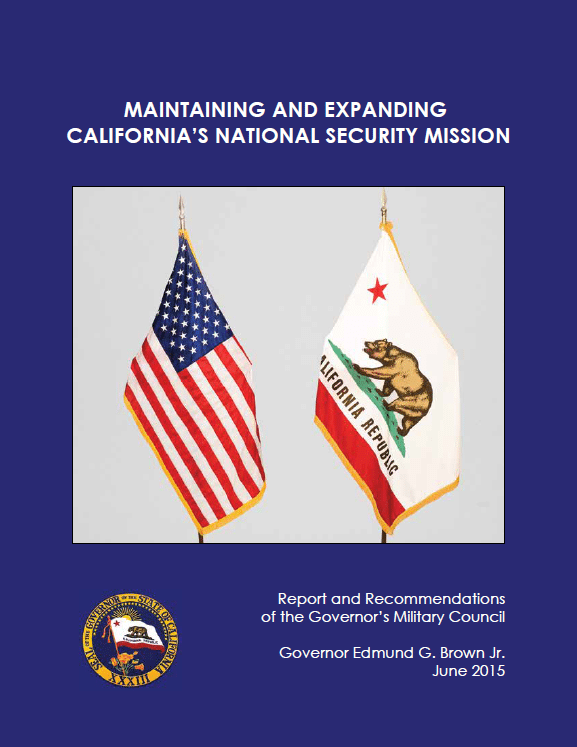 This period of transition and uncertainty will almost certainly affect the military presence in California.